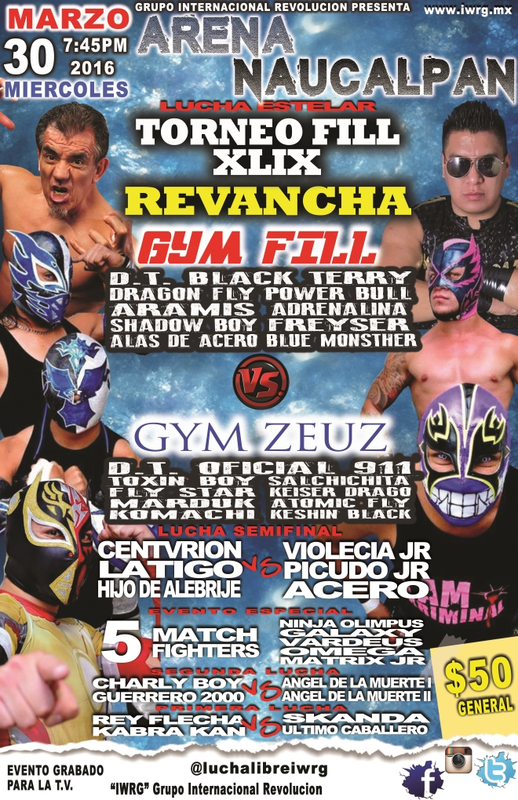 1) Dragón Fly & Kanon b Matrix Jr. & Picudo Jr.
Gavitoa's first match here since October. Solar's first match here since August. 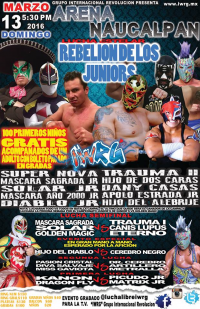 Matrix Jr. & Picudo Jr. worked twice, replacing Super Nova & Trauma II. 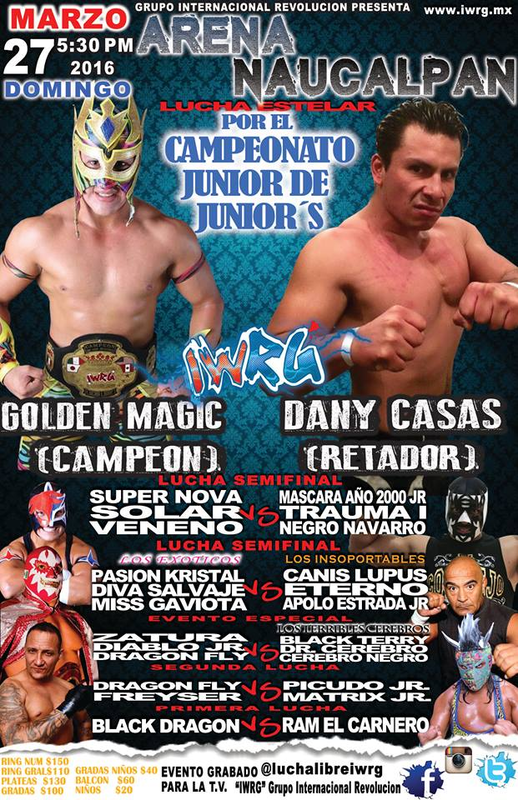 Danny Casas faces Golden Magic earned the title shot. Sagrada's first match here since September, Golden Magic's first since November. Danny Casas showed up after the match to challenge Golden Magic next (though not next week as originally promoted, since it's an Elite show instead.) 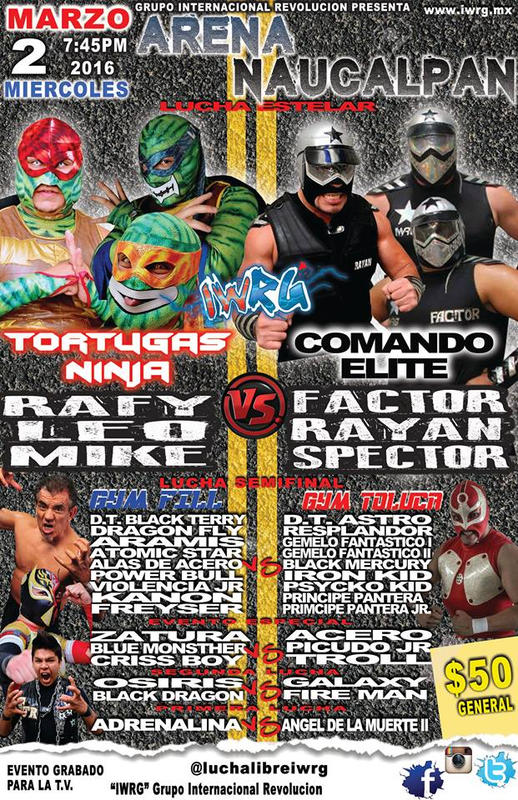 +Lucha has this as the main event, IWRG has this as the semimain. Gemelos tried pulling the switch again, Freyser won anyway, and then the Gemelo declared the pin shouldn't count because the wrong guy got pinned. 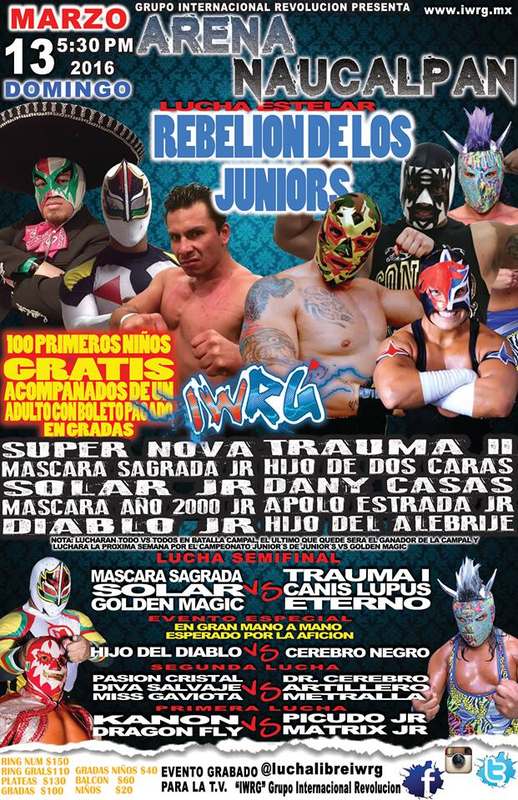 That didn't work, so Gemelos instead suggested a IWRG vs Toluca cage match. 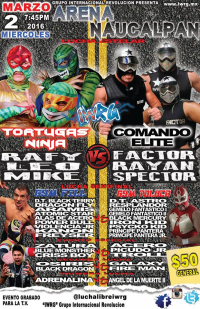 IWRG vs Toluca. Straight falls. Rafy faked a foul to the DQ. Comando Elite destroyed the Turtles after the match and took their masks. Mask challenges followed. Eterno pulled T2's mask while T2 fouled Eterno. Referee turned around to only see the unmasking and called the DQ. 2) Dragón Fly & Freyser b Matrix Jr. & Picudo Jr.
Apolo challenged Miss Gaviota to a hair match. Straight falls. 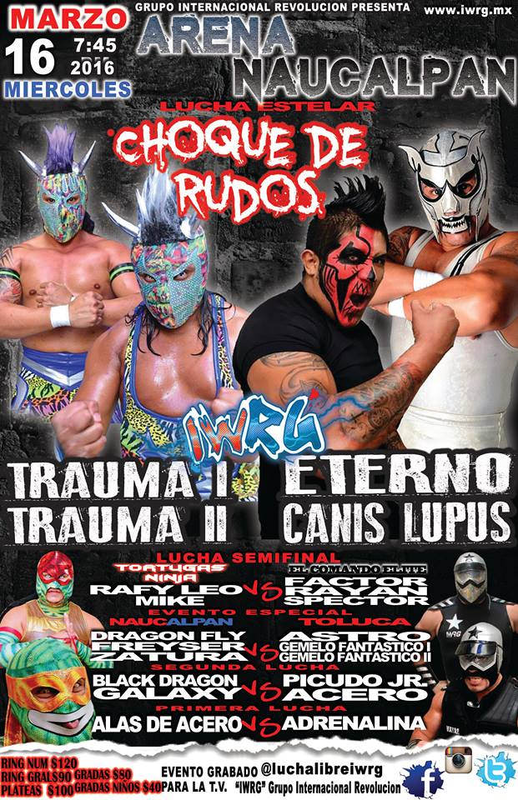 Trauma II replaced Super Nova and Mascara pulled off his mask for the DQ. 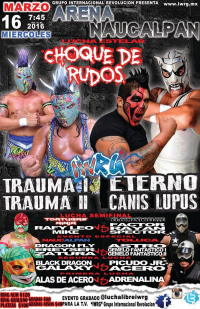 Trauma I said he'd give Mascara a title match. Golden Magic got caught fouling Danny Casas and was DQed. 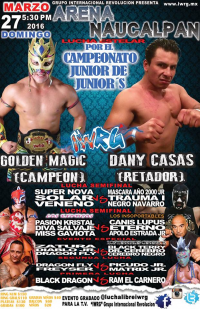 Title change hangs on DQ in IWRG, so Danny Casas is new champ.